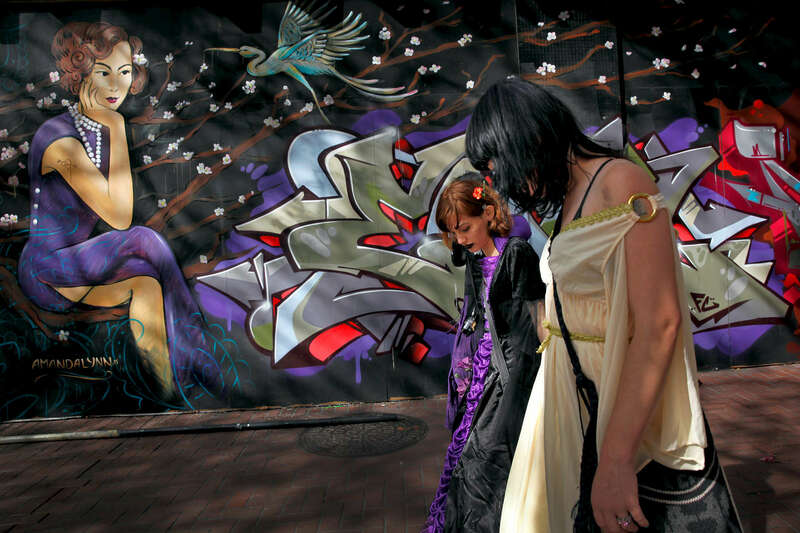 Isabella and Angel Morales-Black walk through San Francisco after getting married at City Hall. She and Angel met in Bakersfield and were friends prior to Isabella's transition. Isabella was living with Angel and Angel's parents when she came out as transgender. "It was not a very safe environment for me. I overheard them talking one night that they were planning to kick me out." Isabella started talking online to a support group for transgender youth and someone offered to send her to either L.A., Seattle or San Francisco. "Never been to San Francisco, don't know anything about it, all I know is it's LGBT friendly." So she accepted a one-way bus ticket. Angel joined her a couple months later.